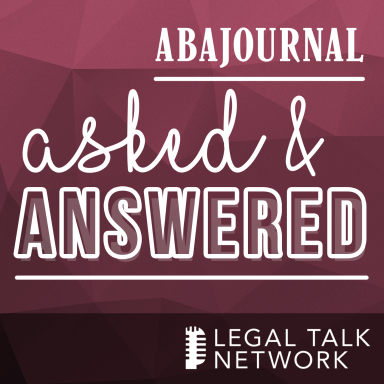 In this month’s Asked and Answered podcast, moderator Stephanie Francis Ward talks to Linda Greenhouse and Jonathan Turley about the past, present and future of legal journalism, and how it has influenced courts. Greenhouse reported on the U.S. Supreme Court for the New York Times for four decades, and is now the Joseph Goldstein Lecturer in Law and Knight Distinguished Journalist-in-Residence at Yale Law School. Turley is an attorney, legal scholar and professor at George Washington University Law School and is a legal analyst for several media outlets. Jonathan Turley, a professor at George Washington University Law School, focuses his academic work on constitutional matters, legal theory and tort law. He also writes an eponymous blog; is a member of USA Today’s board of contributors; and had done legal analyst work for CBS and NBC.